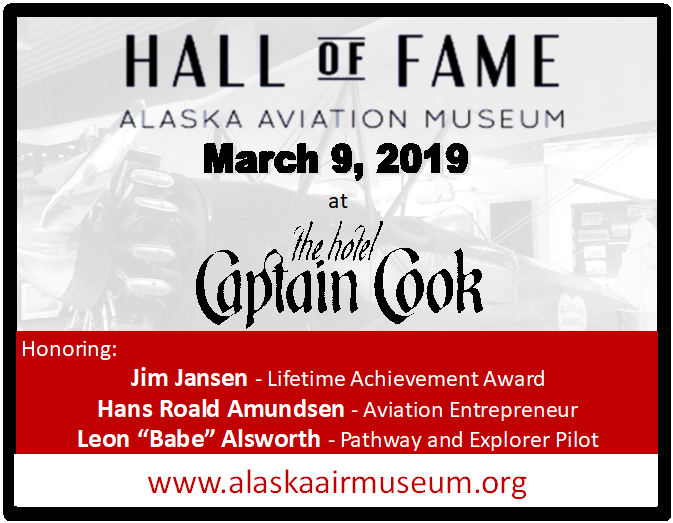 20th Alaska Aviation Hall of Fame Gala, inducting three new faces into its hall of fame: Babe Alsworth, Hans Roald Amundsen and Jim Jansen. This time-honored gala gets underway at the Hotel Captain Cook, and will feature a plated dinner, live and silent auctions. Tickets are $100 for members, $125 for non-members, easily available on-line from the museum’s web site home page.